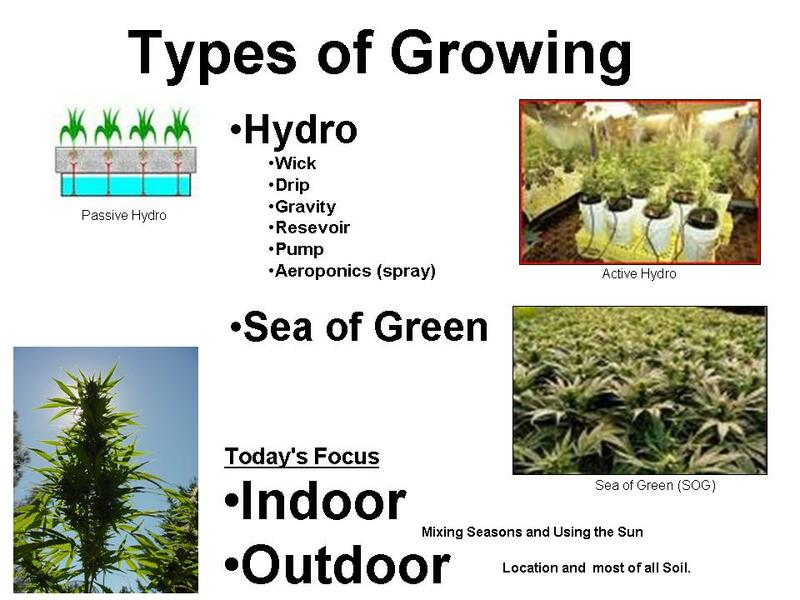 Some of the types of growing are Hydro, Sea of Green, SCROG, and of course Indoor and Outdoor. Hydro can be either passive or active, the later usually meaning the inclusion of a pump system. The only hydro system we will discuss is the aeroponics unit for making starts and rooting clones. This series will discuss indoor gardening. Remember that most of these lessons also apply to outdoor gardens. For outdoor: soil, location and time of planting is important.